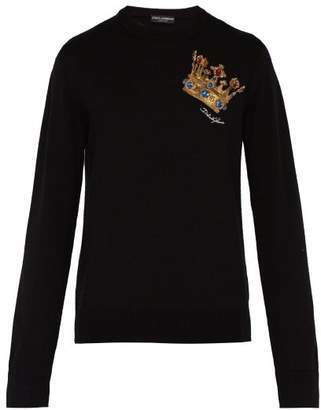 Dolce & Gabbana - Opulent crown-logo embroidery brings a regal touch to this Dolce & Gabbana black sweater. It's Italian-made from virgin-wool to a smart, slender silhouette with a ribbed crew neckline that echoes the hem and cuffs. Fits true to size.